Welcome to the Busmopolitan Blog; which covers bus, coach and passenger rail happenings, across Essex and around its borders. This is a prelude to hopefully, relaunching the Busmopolitan website. A lot going on, as per usual. Amber Coaches has become a significant player on bus routes in south west Essex, under its Ambus brand, while Network Colchester has launched a new style of fleet name. Colour and nostalgia has come to the streets of Southend, with the appearance of a First Dennis Trident in the hues of Westcliff on Sea Motor Services, while Ensignbus has completed its major (5 month) long C2C rail replacement contract – notable for the use of bendy coaches. On the railways, the new Abellio Greater Anglia identity continues to appear on stock; ranging from full repaints to rebranding, and London Underground will shortly be retiring its last C Stock sub surface trains, although they ceased to run into “London Essex”, earlier in 2014. 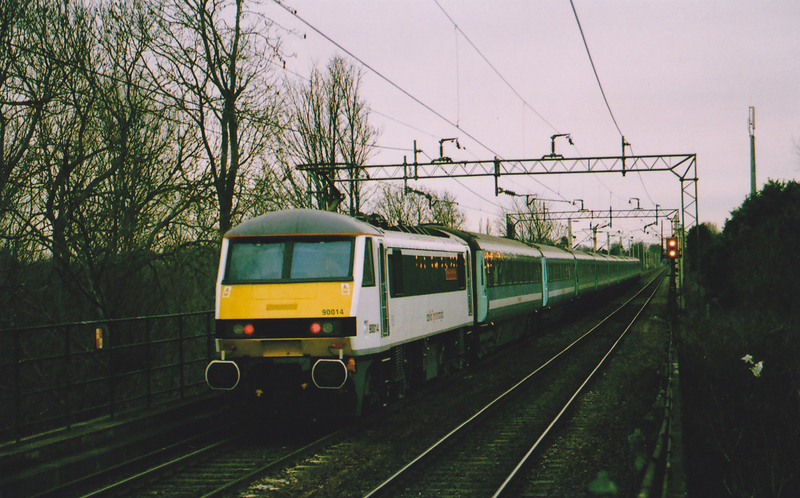 Above: 90014, in the new Abellio Greater Anglia livery, propels the 0830 London-Norwich through Kelvedon in March 2014. 90001 has been named ‘Crown Point’. It has been announced that the fleet of MKIII carriages on the London-Norwich corridor are to be “refreshed”, in a £20m project. The upgrades will included installation of wi-fi and the conversion of RFM restaurant cars into TSOB buffets. The new ‘Abellio Greater Anglia’ branding is now appearing across the fleet. All the Class 90 + DVT ‘Inter City’ sets have been so treated, with it being progressively applied to other stock. The first DVT into the new Abellio colours is 82152; with 82136 following. Repaints are being done by Brush at Loughborough. MkIII hauled coaching stock to don new Abellio hues are 10216, 11087/91, 12051, 12139/56/71. Above: Unbranded 315828, calls at Turkey Street on a Cheshunt-Liverpool Street working in May 2014. This route is due to transfer to London Overground in May 2015. Bova Futura VWH 561 is ex Stan’s of Great Totham. Above: Ambus Dennis Dart SLF/Caetano KU02 YBE, at Brentwood High Street in April 2014, on an ex Regal Busways service. The ‘Ambus’ local bus portfolio continues to expand, with the gaining of Essex CC routes 11 (Basildon-Purfleet) and 374 (Basildon-Grays), from Imperial Bus Company, from 6/4/14. 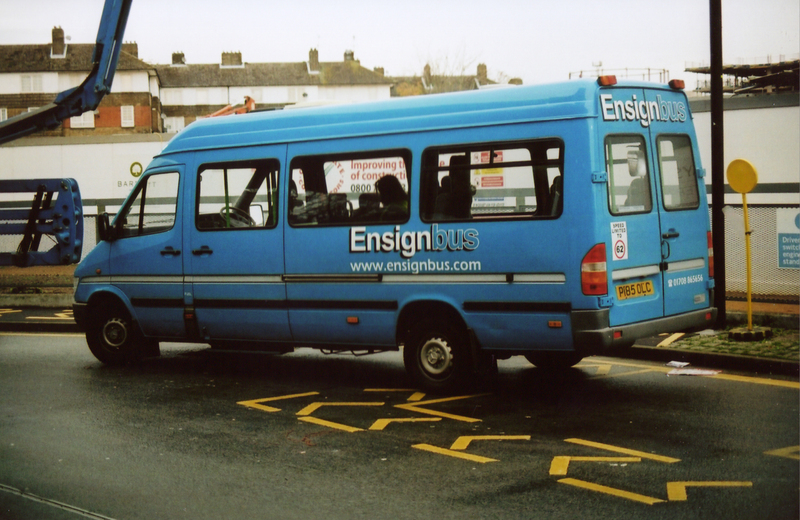 Acquired via Ensign, are former Brighton and Hove Dennis Dart SLF/Plaxton Super Pointers N209/10 NNJ. Former Mitcham Belle/Centra Dart SLF/Caetanos HV52 WTA/K are also now here. From Courtney of Bracknell is ADL/Enviro 200 KX58 BGY. Mercedes 709D/Alexander M668 FYS is withdrawn. Ex Hartwool of Bicester, Oxfordshire is FD03 YON, an Iveco Eurorider/Beaulas. It has been re-registered to PT03 APT. From Pat’s Coaches of Southsea has come Scania K114EB4/Berkhof BT06 LCT; which was new to Leon’s of Stafford. Iveco Eurorider/Beaulas FD03 YON, has been re-registered PT03 APT. Volvo B7TL/Alexander ALX400 VLA103 (LJ54 BCV) has left Barking (DX), for Arriva London South at Brixton (BN). Above: Arriva Southend Dennis Dart SLF/Plaxton Mini Pointer 1609, at Lakeside in April 2013. From 6/4/14, Sunday/holiday operation of Thurrock Council contracted route 44 (Grays-Purfleet), transferred to Ensignbus, while 201 (Grays-Basildon) went to First Essex. From 13/4/14, all Arriva Southend ops were merged into Arriva Kent Thameside. On loan from Arriva Medway Towns is Dennis Dart SLF/Plaxton Super Pointer 3073 (P273 FPK). Ex Arriva London is DAF SB120/Wright Cadet 3514 (LJ03 MZE). It has been converted to “provincial” spec. Former Southend Transport all Leyland Olympian 5404 (H264 GEV), latterly with New Enterprise at Tonbridge, has gone for scrap. Withdrawn is DAF SB220L/Plaxton Prestige 3921 (T921 KKM). Above: Sister to 3921 – no 3916, at Southend Travel Centre in April 2010. Scania N230UD YT11 LTA has passed to City Sightseeing, Glasgow. Acquired from M and E Coachways, Rochford are Leyland Olympiann/Alexander RH H705 PTW and MAN24.460/Berkhof double deck coach Y329 NWP. Volvo B7TL/Plaxton President PVL264 (PN02 XBM) has come from London Central. Volvo B7TL/Plaxton Presidents PVL66/9 (W466/9 WGH) have gone on loan to London General, to cover a vehicle shortage at Sutton. A new ancillary vehicle is Ford Transit SWB mid roof engineers’ van EA63 VRW. Above: Blue Triangle Volvo B7TL/Plaxton President PVL68 on London Underground rail replacement, at Barking in September 2010. Scania K114/Irizar ET03 LCT has passed to Nichols of Carlton, South Yorkshire. Scania L94/Irizar W354 MKY is now with Warden of Caly Cross, Derbyshire. Sold is Volvo B10M/Plaxton Premiere P20 HMC – to Bland of Ryhall, Lincolnshire. Above: Brown of Billericay Leyland Olympian J846 TSC, was a long way from home, when pictured in August 2012. It was at Barry Hall, Lincoln for fitment of seatbelts. Alongside is Shorey of Maulden, Bedfordshire, former Kentish Bus Leyland Olympian/NC G555 VBB. Leyland Olympian/Alexander RH J846 TSC is now with Martin of Pitsea. 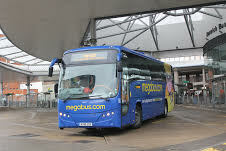 London Commuter coach services 731 (Sittingbourne/Medway); 781/2/4 (Maidstone/Kingshill), may be routes through nEssex along the A13, via the Dartford Crossing, if the Blackwall Tunnel is badly congested. Volvo Olympian/NC N531 LHG, has been resold by Ensign, to Delta Force Paintball, Manchester – where it will likely end its days. From Hailstone of Basildon is Mercedes 0814D/Plaxton Cheetah YN53 EHU. Medway to London Commuter coach services 761/2/3/4 may be routed through Essex, along the A13 to/from the Dartford Crossing, if the Blackwall Tunnel is badly congested. Now has the Suffolk County Council contracts for Bury St Edmunds town services on Sundays and Public Holidays. New are short ADL/Enviro 200 YX14 RXJ and long ADL/Enviro 200 YX14 RXK, which appear on these routes as part of their duties. Setra S315 BU03 LXZ is now T19 PVC. Transferred from Metrobus are Scania N230UD/Optare Olympuses 870/1/3 (PN09 EKR/T/V). 870/1 have been seen running for Blue Triangle. 871 is pictured above at Brentwood, in May 2014. Volvo B7TL/Wright Gemini PVL53 (LF 52 ZPO) has gone back to London General, while PVL72, 84 (LF52 ZPB, ZNS) have returned to London Central. Dart SLF/Pointer LDP196 (SN51 UAJ) has also gone to London Central. TfL541 now runs as Keir Hardy Estate-Canning Town-Prince Regent; meaning it covers the missing part of TfL147 (Ilford-Prince Regent) in its current form; the section to/from Canning Town being temporarily curtailed, due to the closure of Victoria Dock Road for CrossRail works. A new Stansted Airport to London City (Old Street, not the airport) service has commenced, using new 16 seat Ford Transits – of which BK14 XLB, XOO, XRO have been noted. This joins the existing route to/from Baker Street. 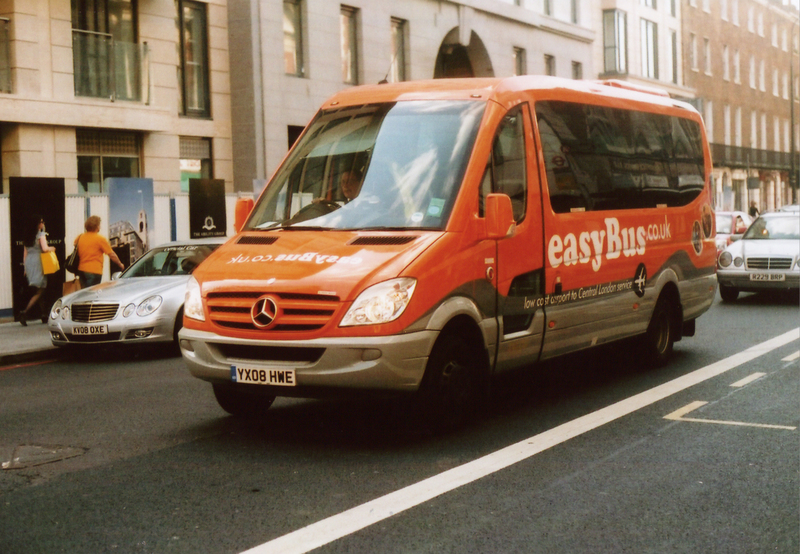 Above: One of the earlier generation of Easybuses; Mercedes Sprinter/Optare YX08 HWE arrives at Baker Street from Stansted, in June 2008. MAN 18.310/Noge V323 EAL is ex City Travel of Cullingworth, West Yorks. 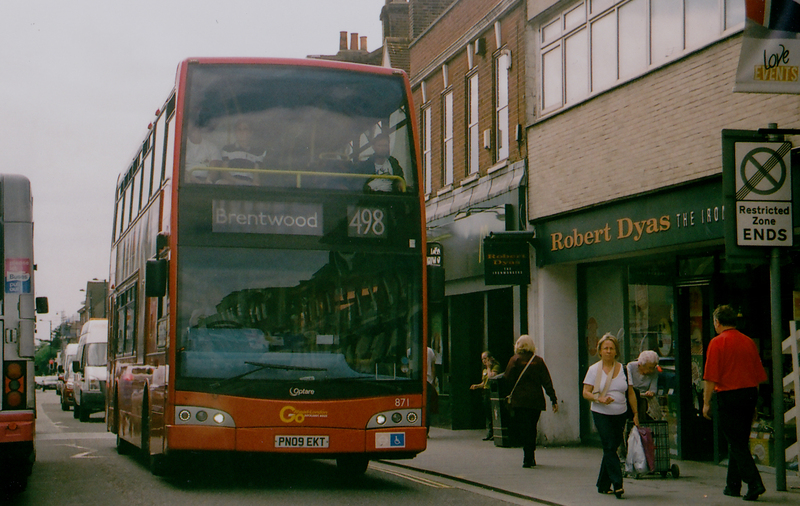 Above: Volvo B10A no 401 at Upminster in January 2014. It is awaiting departure for Laindon and Basildon. From 6/4/14, Ensign became the sole operator of 44 (Grays-Purfleet), with the gaining of Sunday/holiday Thurrock Council contracted journeys from Arriva. Night workings on 73 (Lakeside-Tilbury) ceased after 14/4/14. A recent addition to the commercial school/college network is 27 (Little Thurrock-Stanford Le Hope). I understand it competes against Avro Coaches of Stanford. On 27/4/14 only, Ensign provided a stage service between Basildon and Canvey Leigh Beck numbered C2C1. This was connected with works on the railway bridge at Benfleet station; which prevented a full “regular” local bus service being operated by First. Ensign had operated a similar service over the Xmas-New Year period in 2012-2013, when the Benfleet railway bridge had been replaced. 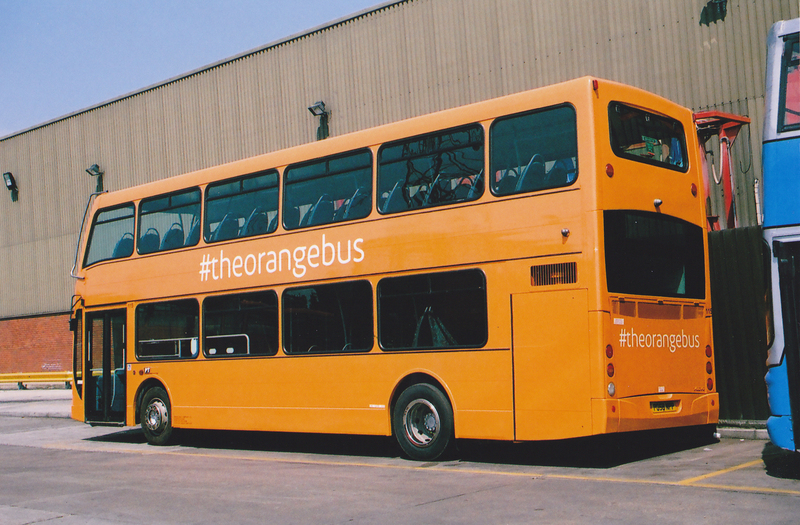 Volvo B9TL/Optare Olympus 115 (PO58 NPP) has lost its orange ‘Intu Lakeside’ livery, in favour of fleet colours. Withdrawn are Volvo B10A/Plaxton Expressliner artics 401/2 (P671 LWB, P563 MSX) and Volvo B10M/Jonckherres 601/2 (S808 BTT, S662 JSE). This follows the end of the C2C rail replacement contract, for which they were acquired. The last day of the C2C contract was Sunday 18/5/14. For the occasion, several heritage vehicles operated between Basildon and Southend Central. These were Ensign’s former LT Metrobus M1 (THX 101S); former Southend Transport Tiger/Duple Carribean 250 (A250 SVW) and Leyland Fleetline/NC 233 (MRJ 233W); former Green Line Routemaster RMC1513 (513 CLT). Plus privately preserved former Crosville Bristol RELL/ECW UFM 53F and Stephenson’s of Essex former Southdown ‘Queen Mary’ Leyland Titan PD3/4/NC 424 (424 DCD). 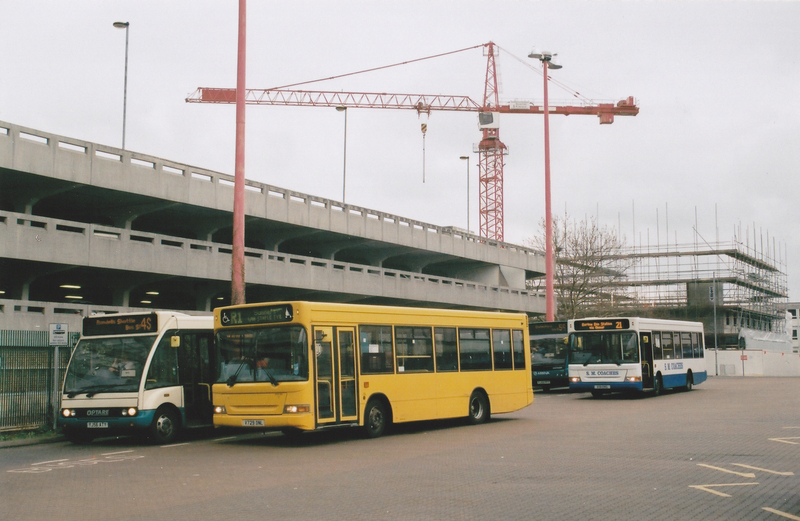 Vehicles sold are Trident/President 108 (X602 EGK) – to Central Buses of Birmingham; Trident/ALX400 193 (T193 CLO) – to Bear Buses of Feltham; while Volvo B10M/Plaxton Premieres 603/4 (R783/1 CDW) went to Solus Coaches of Tamworth. 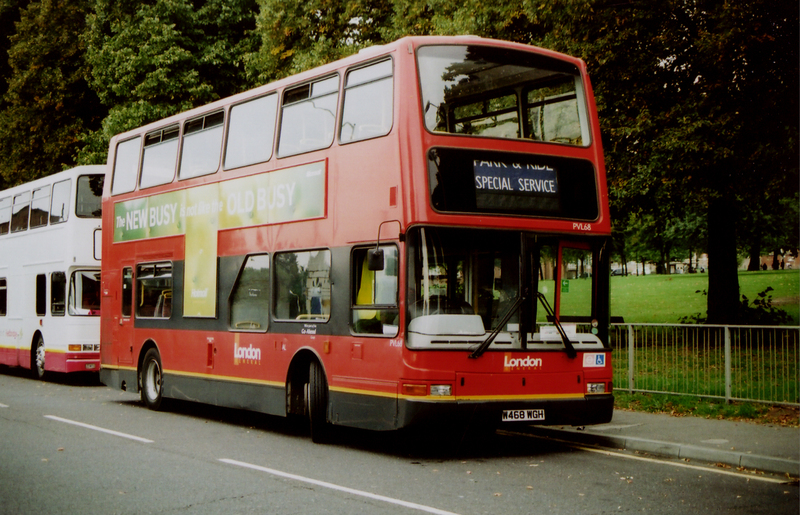 Dennis Trident/Alexander ALX400 191 (T191 CLO), which passed to Golden Tours of London for spares, has now gone for scrap. “New” ancillary vehicles are ex ISS Ford Transit minibuses HN10 VRX/Y. Mercedes Sprinter crew ferry P185 OLC, has gone for scrap. Above: Ensignbus Mercedes Sprinter crew ferry P185 OLC, at Canada Water on LUL Jubilee Line Rail Replacement duty, in November 2010. Dennis Trident/Plaxton President VN32929 (W929 VLN), which had been cannibalised by Ensign, has now gone for scrap. From 6/4/14, First gained Thurrock Council Sunday/holiday contracted service 201 (Basildon-Grays) from Arriva. 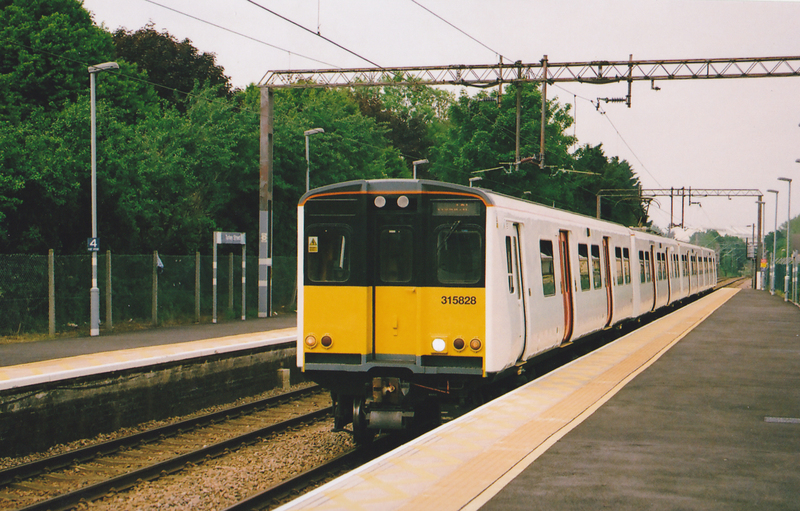 From the same date, there were enhancements to the 100 (Lakeside-Basildon-Chelmsford) route and a weekend service was introduced on the 300 (Basildon-London Gateway shuttle). From 20/4/14, there were revisions to local services in the Southend area, affecting the 20 group (Southend-Hullbridge), 21 group (Southend-Canvey), 23 group (Southend-Eastern Avenue), 24 (Southend-Southchurch), 25 group (Southend-Basildon), 26 (Southend-Hadleigh), 27 group (Southend-Canvey), 28 (Southend-Basildon). 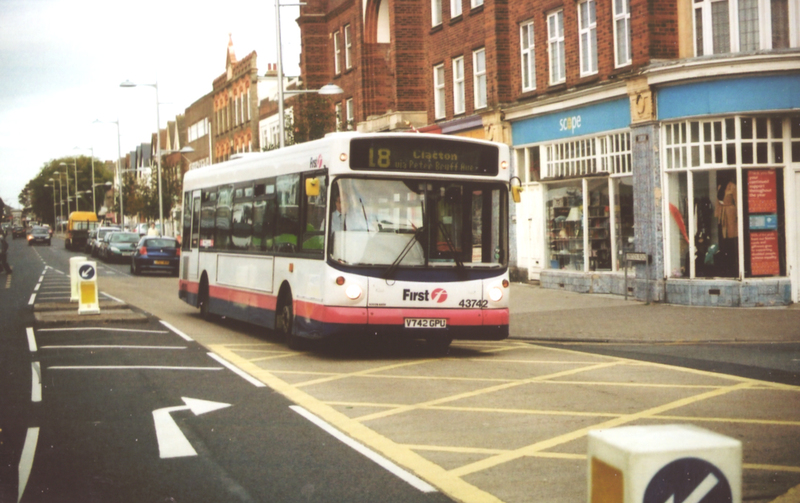 Around Basildon, there were changes to 8/a (Laindon-Pitsea), the 15 group (Basildon-Wickford) and 22 (Basildon-Canvey). In Colchester, 61C (Town centre-University of Essex) was withdrawn, and replaced by existing 62A (North Station-Wivenhoe). 75 (Maldon-Colchester/University of Essex) was increased to 30 minute frequency M to F 0900 to 1500. Ex the now closed First Capital operation are ADL/Enviro200s 44001/2/5/77/9/81 (LJ57 EJD/E/J, YX58 HVG/J/L).They have been rebuilt/repainted to “provincial”specification, and allocated to Hadleigh. They have displaced R and S reg Dart SLF/Super Pointers to Clacton, to replace other types of Dart, (see below). Dennis Trident/Plaxton President 33191 (LT52 XAB) is now in red/cream Westcliff on Sea Motor Services ‘heritage’ livery. Volvo B7TL/Alexander ALX400s 32651/2 (AU05 MUO/P) now have super rear adverts for East of England CO OP, while 32654 (AU05 MUW) is similarly adorned for CT-1 – (industrial adhesive). Volvo B7RLE/Wright 66813 (MX05 CDO) has a super rear for Fairfield BMW at Leigh on Sea. 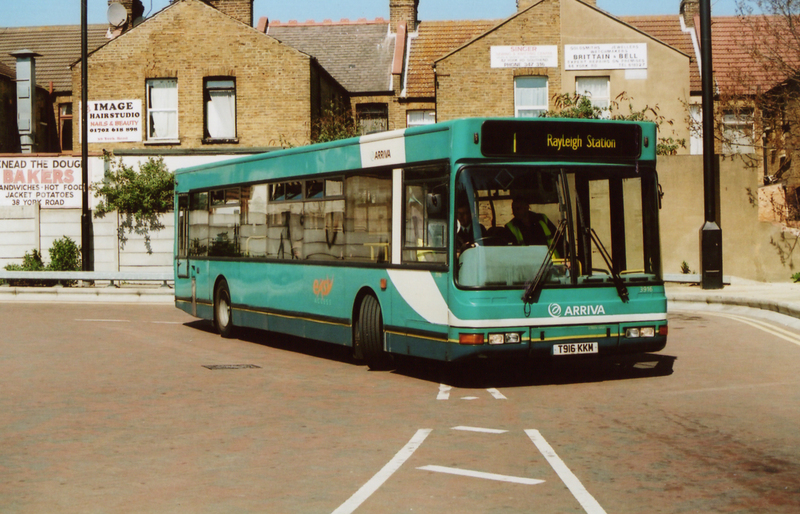 Withdrawn are the last of the Alexander ALX200 bodied Dennis Dart SLFs; 43741-4 (V741-4 GPU). 43742 was the final one in use. They have gone to Alpha Recovery for scrap, along with earlier withdrawn Dart SLF/Plaxton Super Pointer 43738 (S738 TWC) and Dennis Trident/Plaxton President 32807 (T807 LLC). Above: ALX200 bodied SLF no 43742 at Station Road, Clacton in October 2009. Additions are ex Metroline Dart SLF/Pointer W138 ULR and ex Coaches Etc of Croydon Volvo Olympian/Alexander RL J333 ETC (orig R141 EVX); both via Ensign. Leyland Olympian/Alexander tri-axle J590 CEV is now in Flagfinders livery, ex Florida colours, while sister (and also ex Florida) F493 LNA has been repainted out of Megabus blue. 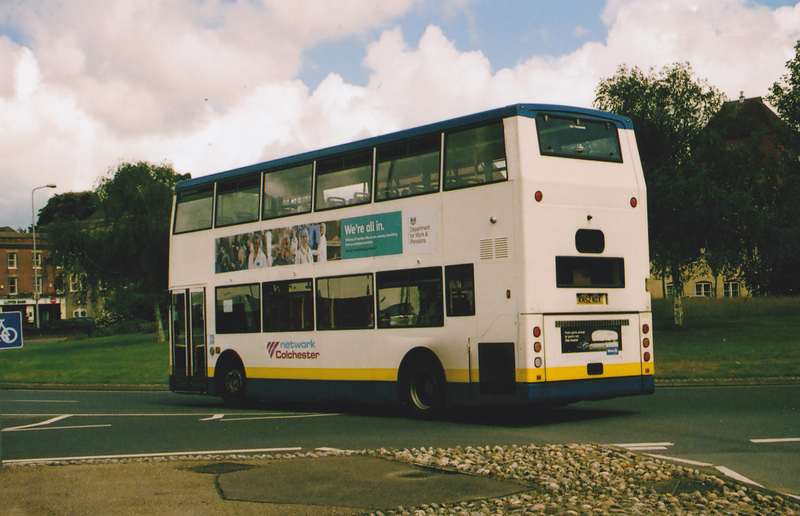 Above: Solo MX07 BBU at the Audley End terminus of Essex CC route 18 from Haverhill in July 2012. Optare Solo MX07 BBU, has passed to Ensign. This bus was new to Alton Towers. Dart SLF/Plaxton Mini Pointers KN52 NFP/R are now with Western Greyhound. LDV Convoy YN03 HKF is from Brazier of Winslow, Bucks. Similar R944 DDM has been scrapped. 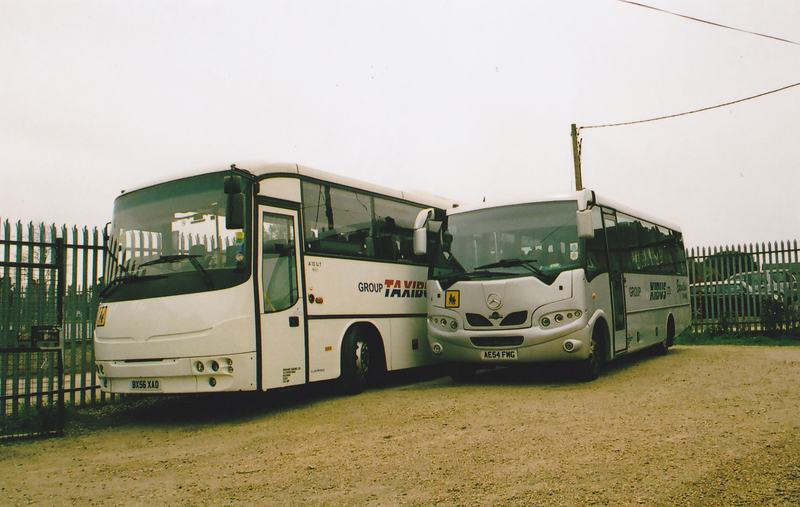 Ex Chelmsford Taxibus are Autosan BX56 XAD and Mercedes 816/Euro AE54 FMG. The pair were pictured (above) at Kelvedon depot, shortly after acquisition in April 2014. A revised livery has appeared, featuring a new style of fleet name, and a reduction in the amount of blue on most vehicles – except the 2 Scania coaches. As illustrated on Scania K114/Irizar YN03 DDE (below). Above: And YN03 DDE, as it was in it’s original Graham’s livery. Pictured at Dover in July 2003. Dennis Dart SLF/Plaxton Super Pointer 250 ex L312 (W312 CJN), has had its livery modified with a red front bumper, and black headlight surrounds (pictured above). Meanwhile, ADL/Enviro 200 263 ex L382 (EU59 AYM) now sports fleet numbers in “traditional” gold font. Dart SLF/Mini Pointers 285/6 (W799 VMV, X346 YGU) have been outshopped, ex collision repairs. 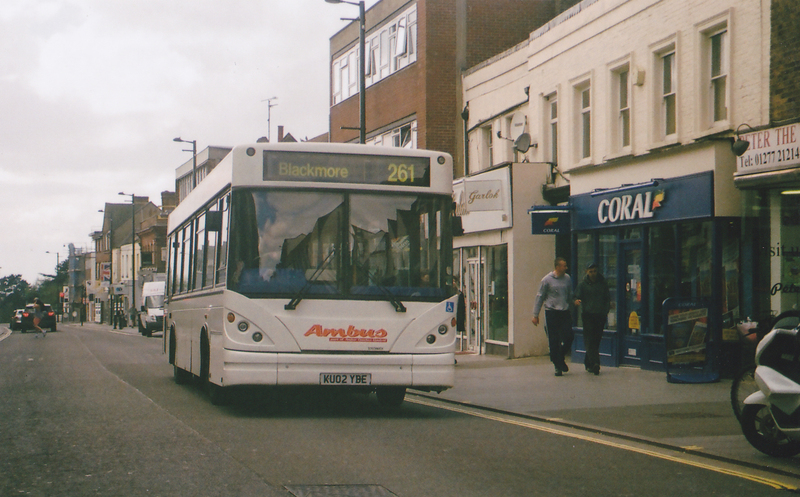 Both retain Brighton and Hove based livery, but 286’s has been slightly altered. 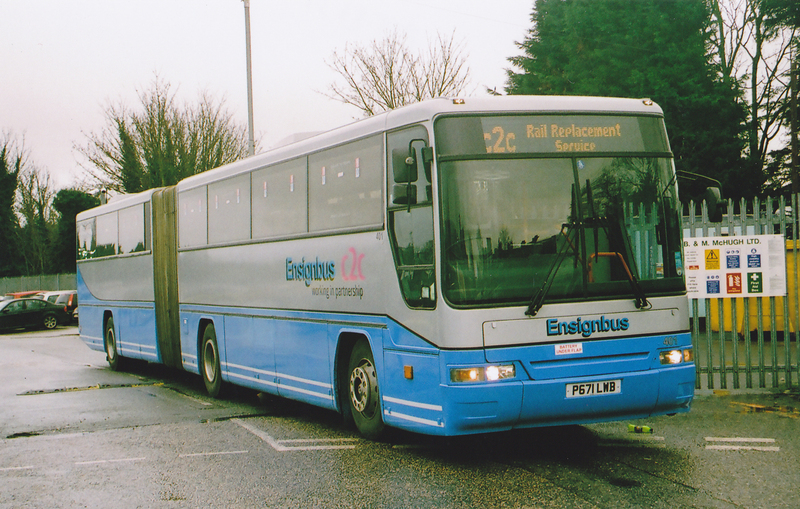 Delicensed are Optare Excels 200/2/3 (R835 FNG, T789 XVO, V203 ENU). Sold are Optare Excel L391 (V205 ENU) and Optare Solo 909 (YJ51 XSM). Both had been stripped for spares. They passed to Panther Travel (as dealer). 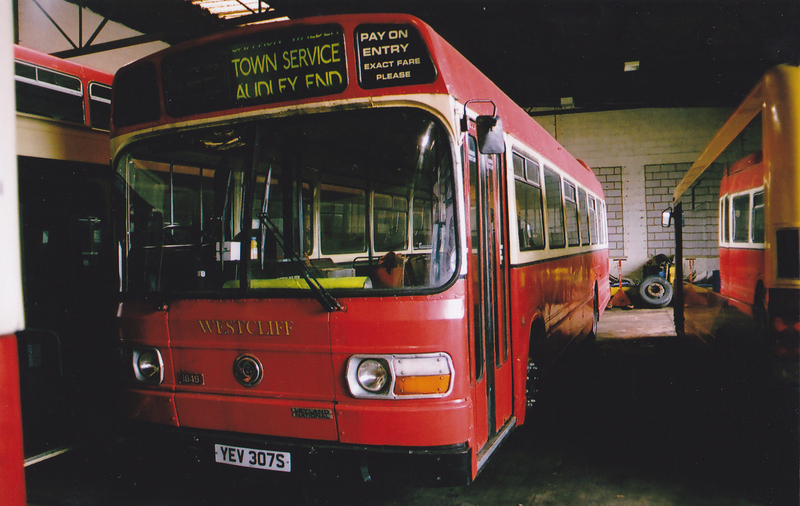 Leyland National YEV 307S has appeared at Tollesbury depot. Privately owned, it is there for storage only – and not for service. Above: A nocturnal shot of ex Imperial Mini Pointer Dart SLF no D319 at Ensign’s Purfleet yard, in May 2014. Following the loss of Essex CC contracted services 11, 374 to Ambus; all the Dennis Dart SLFs (R446 LGH, R874 MCE, W138 ULR, X312/9 KRX, Y251 NLK, VU52 UEG) have been sold to Ensign – along with Mercedes 814/Plaxton Beaver W996 JNF. 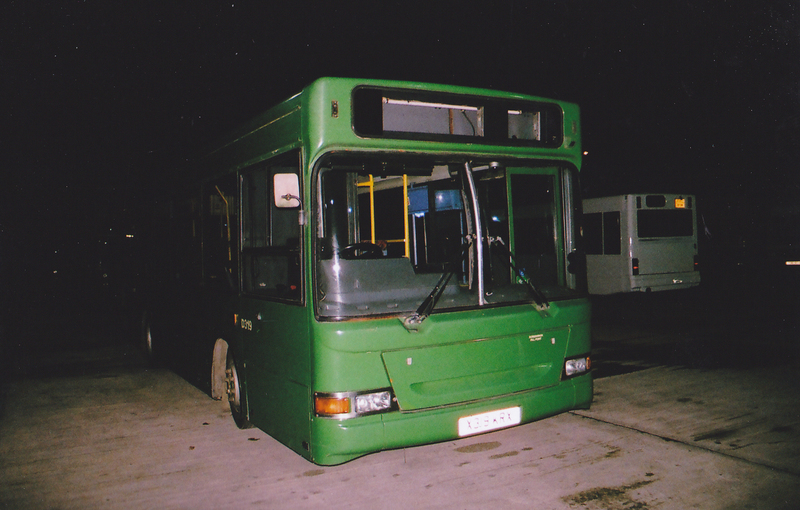 All of the SLFs were Plaxton Pointer bodied; except R874 MCE which has Marshall bodywork. Of the other low floor Darts; R446 LGH and W138 ULR were “long” Darts, with the others being “mini” Darts. Y251 NLK and VU52 UEG were quickly resold to Redline of Aylesbury, while X319 KRX went to Grant Palmer of Dunstable. New is ADL/Enviro200 78 (YX14 RWL). It is branded for the 111 Ipswich to Hitcham service. 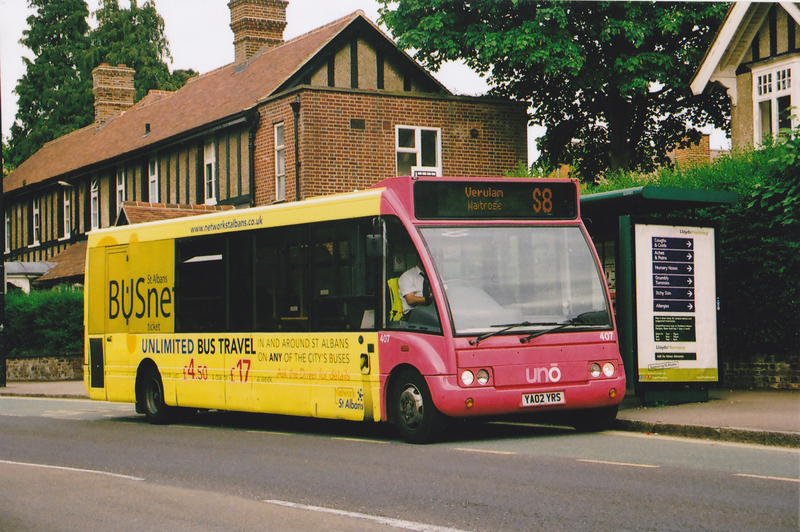 Optare Solo 245 (YJ05 XNY) has appeared in a red and pink ‘All About Ipswich’ livery – ex silver. It continues to be used on the Suffolk County Hall free shuttle (Monday to Friday), as well as a new Saturdays only town centre Ipswich Waterfront free shuttle. 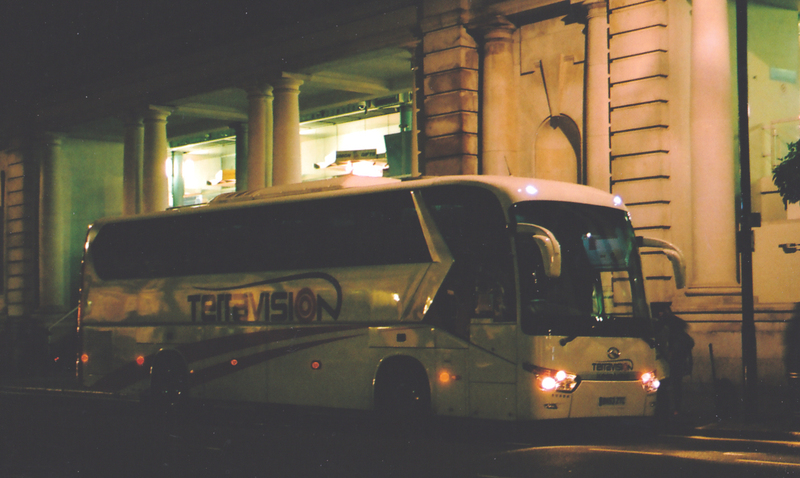 This operator provides hotel shuttles within Stansted Airport. From Discover Dorset of Weymouth is Optare Versa YJ57 EHY, which is liveried for the Hilton Shuttle. Sold is Ford Transit 14 seater NJ57 YRW. Setra S215 K40 TCC has gone for scrap. Volvo B10M/Caetano F878 TNH has gone for scrap. New is Van Hool Alicron integral coach KC14 ABC. Withdrawn is Setra S215 F993 MTW. Scania K113/VH WIL 3636 has passed to Abbot of Newton Abbot. New is Setra S416 EU14 GXR. Acquired from Ryder (dealer) are MAN 18.310/Marcopolos MB04 TCY/Z. Setra S416 BX05 UWS has been sold to Travel Master of Carrington, Greater Manchester. 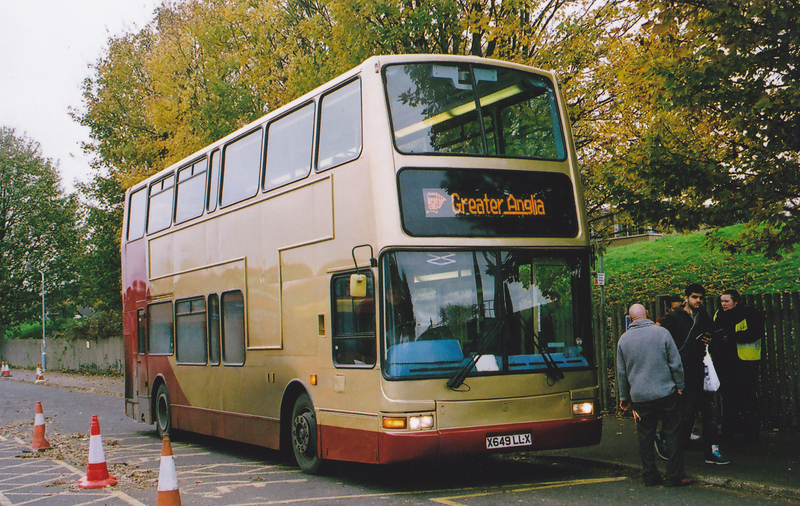 SLF/Pointer W143 WGT has passed to Teeside dealer Buses 4 Sale. 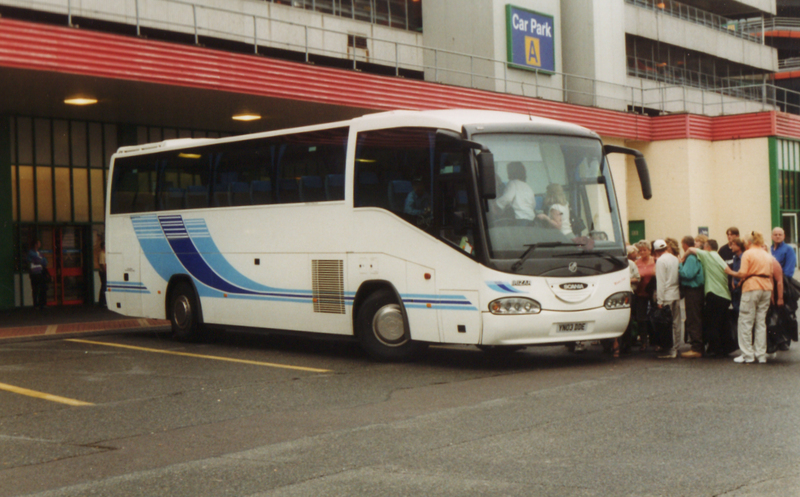 Interesting arrivals are ex Brighton and Hove Dennis Trident/Plaxton Presidents Y862/9 GCD; sourced through Ensign. Above: C69 stock car no 5532 leads an eastbound Hammersmith & City train into Farringdon, in April 2004. 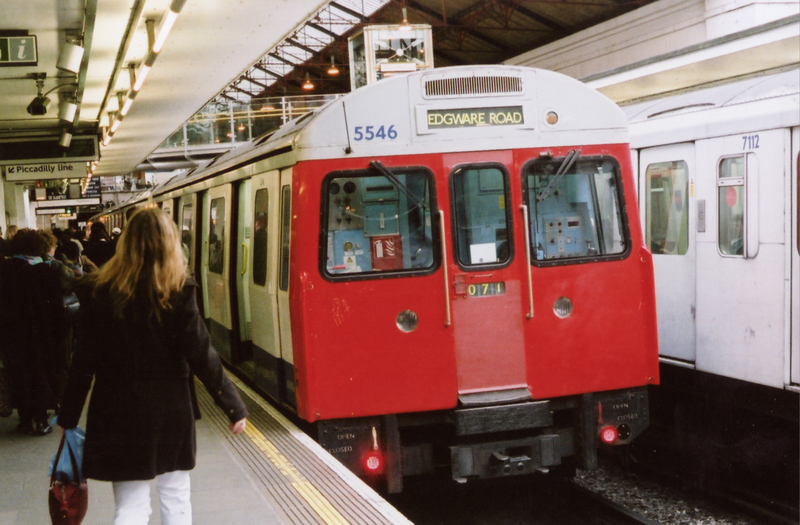 The last scheduled working of C stock is due on 3/6/14; on the Edgware Road-Wimbledon branch of the District Line. The type ceased working into ‘Busmopolitan’ territory (the Hammmersmith and City Line to Barking), from February 2014. C stock trains withdrawn since the beginning of 2014 are C69 units 5501 + 6501; 5511 + 6511; 5516 + 6516; 5518 + 6518; 5521 + 6521; 5534 + 6534; 5538 + 6538; 5543 + 6543; 5546 + 6546; 5547 + 6547; 5551 + 6551; 5553 + 6553; 5557 + 6557; 5560 + 6560; 5564 + 6564; 5565 + 6565; 5570 + 6570; 5572 + 6572; 5580 + 6580; 5586 + 6586; 5591 + 6591; 5596 + 6596; 5598 + 6598; 5601 + 6601; 5606 + 6606. C77 units 5702 + 6702; 5703 + 6703; 5705 + 6705; 5709 + 6709; 5712 + 6712; 5715 + 6715; 5717 + 6717; 5727 + 6727; 5728 + 6728; 5729 = 6729. All went to Booth Roe at Rotherham for scrap. 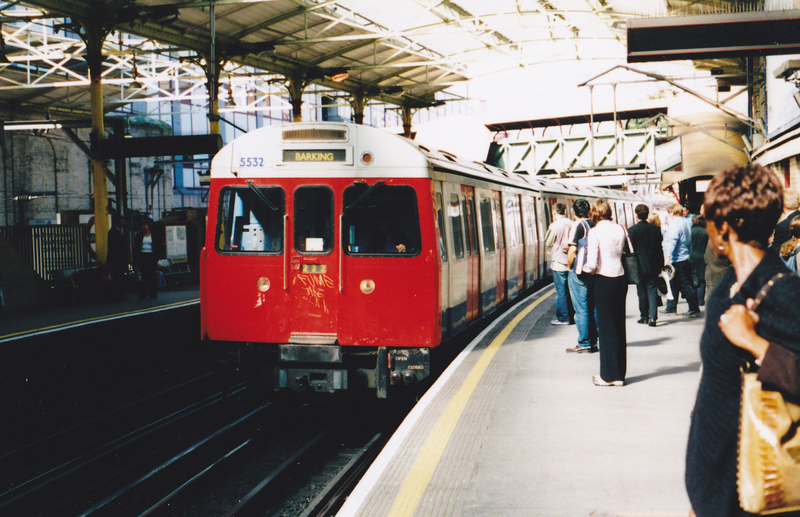 Above: C69 5546 at Earls Court in April 2005. Meanwhile, new deliveries of S7 Stock continue, with 21417/8; 21419/20; 21421/2; 21423/4; 21425/6 being the latest units to arrive. 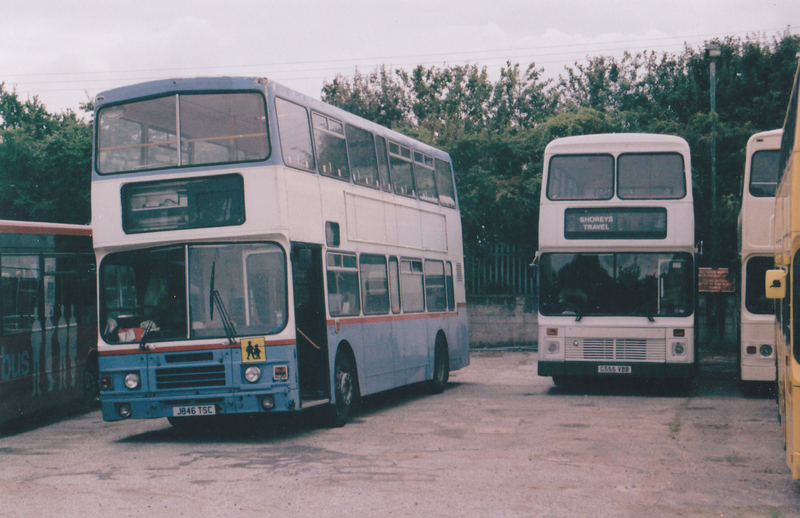 Now withdrawn are Leyland Olympian/ECWs HSB 312Y and C205 GTU. HSB has gone for scrap. HSB was a coach, new to Alder Valley as YPJ 503Y and latterly with Reliance of Benfleet, while GTU was new to Crosville and came via Happy Al’s of Birkenhead. Dennis Dart SLF/Plaxton Mini Pointer 1559 (EU56 GVG) went on loan to Network Harlow; in exchange for 1551 (V231 HBH). Both had returned by the end of May 2014. Then Volvo Olympian/NC 5944 (R614 MNU) came from Harlow, in exchange for Dennis Trident/Alexander ALX400 5451 (KN52 NCD). Dart SLF/Plaxton Super Pointer 3416 (SN54 HXC) is back in service, ex accident repairs following a collision at Severalls Park in March 2014. Dart SLF/Caetanos 3407/8/10 (HX51 LRJ/K/N); Volvo B10BLE/Alexander ALX300 3831 (W907 UJM) and Dennis Trident/Alexander ALX400 5450 (KN52 NDX) (below), have appeared with new style fleet names. Dennis Dart SLF/Plaxton Pointer 3317 (S304 JUA), is back here from TGM Stansted. There were revisions to Harlow town services from 6/5/14. These affected routes 2, 3/A (Stewards), 6, 7 (Church Langley), 8/A (Old Harlow), 10 (Church Langley). 7A and 20 (both Church Langley) were withdrawn. 7A was replaced by 6; 20 by 10. 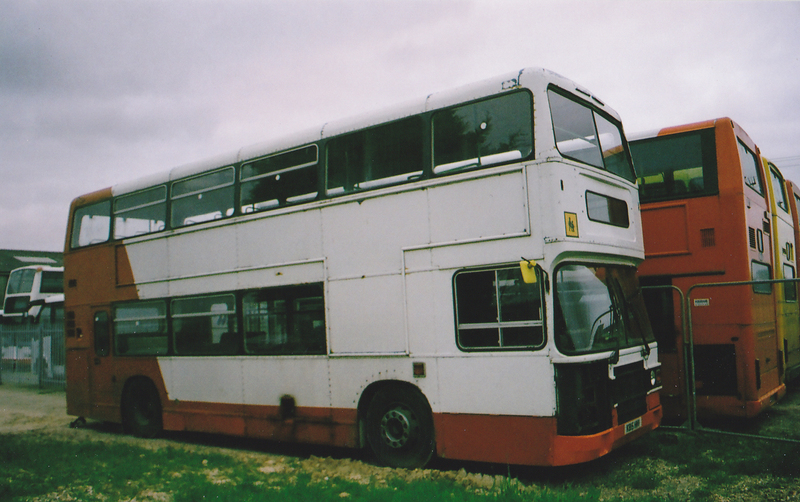 Ex Cedric’s all Leyland Olympian K815 HMV, is dumped – cannibalised, at Frating depot, (pictured above). A15 FRX is a Volvo B10M/Plaxton Premiere 70 seater, ex Witte of Calne, Wiltshire. SLF/Pointers Y658/9/68 NLO are now with APL of Crudwell, Wiltshire. The old Cedric’s workshop at Ardleigh has closed. Ex London United is Dart SLF/Plaxton Super Pointer SN55 DVR. From Docklands Buses (via Ensign) are Scania Omnicity double deckers LX08 ECD/N. They retain London red and now sport yellow ‘NIBS’ fleet names. Scania N113/Alexander RL N833 SDA is withdrawn. Dennis Dart SLF/Plaxton Super Pointer R506 SJM has gone for scrap. Its BIL 9406 “cherished” mark is now on Scania Omnidekka YN04 YJU. 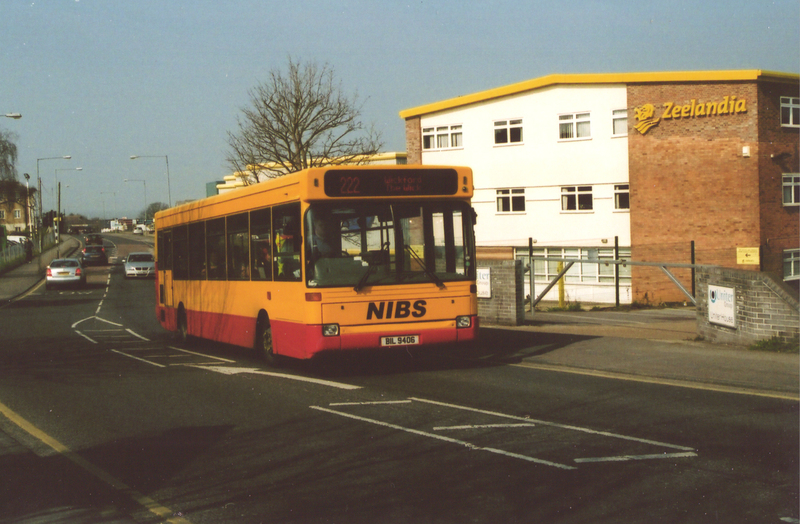 Above: NIBS SLF BIL9406 at Billericay in March 2009. Received from Arriva The Shires are Dart SLF/Pointers S307/16 JUA. Withdrawn is SLF/Pointer Y161 NLK. Also withdrawn (and scrapped) is Dart SLF/Mini Pointer V189 ERG, which collided with the rear of First Essex yellow BMC 68521 at Epping. Acquired from Swift of Great Yarmouth is Volvo B10M/Plaxton Premiere N962 DWJ. Withdrawn is Volvo B10M/Plaxton Paramount F886 SMU. Recently acquired is much travelled Leyland Olympian/ECW CWR 512Y. New to West Riding, it had latterly been with Invincible of Tamworth. It has been re-registered to BIG 9210. 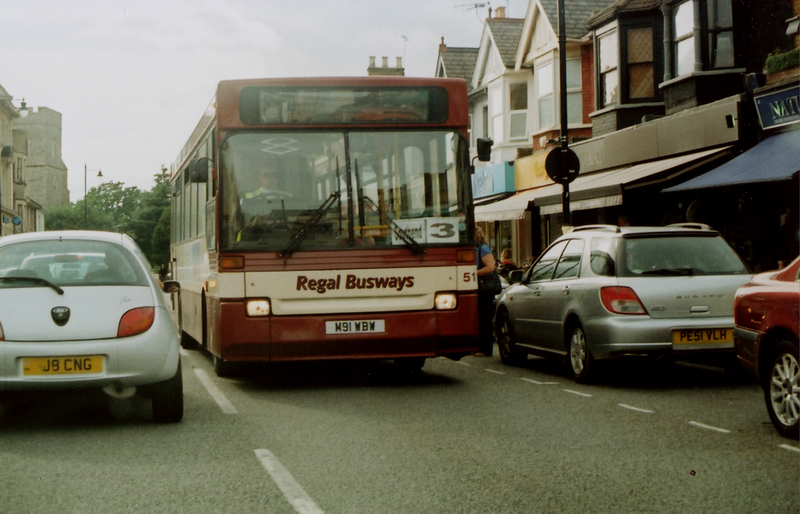 From Regal Busways is Dennis Javelin/Plaxton Premiere N320 NHY; which is now BIG 9895. Ex CT Plus is Dennis Dart SLF/Plaxton Pointer P508 RYM. Dennis Dart/Alexander Dash P390 LPS has been re-registered BIG 8843. 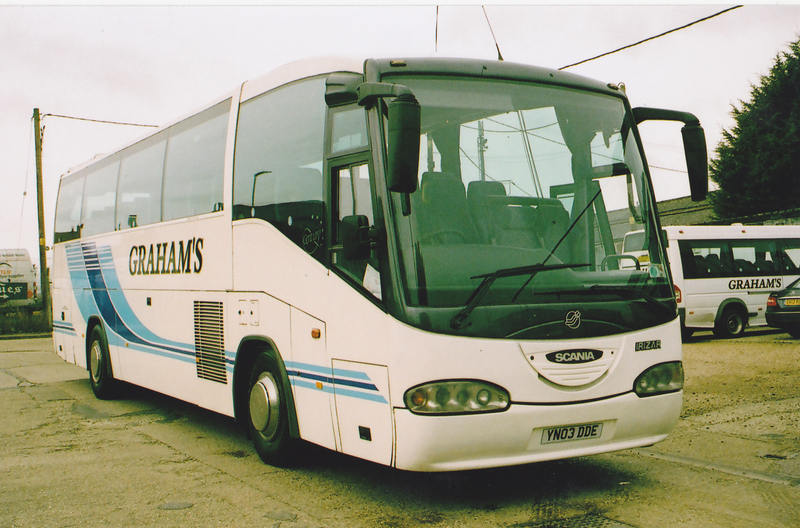 Acquired in a dealer capacity is ex Enigma Travel of Colchester Volvo B10M/Plaxton Paramount SIL 6719. It has reverted to its original G737 REG mark, as its SIL mark in now on Dart SLF P508 RYM. Also bought as dealer stock is ex Regal Busways Volvo B10M/Plaxton Excalibur SIL 2172. This has gained its original registration of J426 HDS. SIL2172 is now on Mercedes 0814D/Plaxton Beaver W577 JVV. Withdrawn are Leyland Olympian/Alexander RL K518 ESS; Volvo Olympian/Alexander RH R941 YOV. Mercedes 811D/Dormobile K203 FEH is withdrawn. Is getting involved in National Express contracts. For this, VDL SB4000/Van Hool YJ03 PGZ has arrived from South Gloucestershire Bus & Coach. Withdrawn is Dennis Dart/Plaxton Pointer 511 (M91 WBW) – one of the last step entrance saloons here. The picture shows it at Leigh on Sea, in August 2010. Accident damaged Volvo B10M/Plaxton Excaliber SIL 2172 has passed to Panther Travel (as dealer). Dennis Javelin/Plaxton Premiere N320 NHY has also gone to Panther, for use. Also sold are Dart/Pointers 511/3/4 (M91/3 WBW, N414 MBW). Scania K114/Irizar tri axle YN55 PZB is ex Phoenix of North Wembley. Setra S250s N882 JLW and N207 PUL have been re-registered N80 RCT and N90 RCT respectively. New is Van Hool Alicron YJ14 CDN. Temsa Safari YJ09 CWX has been sold to Coatham of Lingdale, Cleveland. New is Scania K400/Irizar tri-axle HC14 SBC. 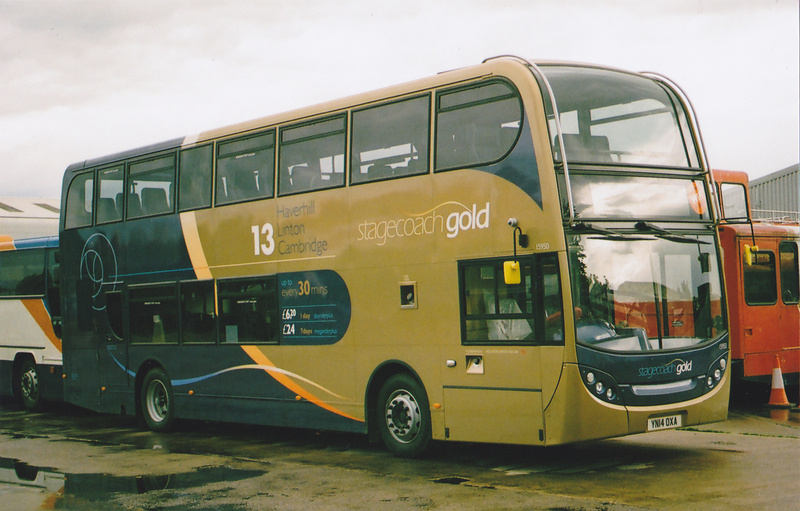 Route 13 (Cambridge-Haverhill) is to be upgraded to ‘Stagecoach Gold’. In advance of this, suitably liveried and branded Scania N230UD/Enviro 400 15950 (YN14 OXA), appeared at Cowley Road, Cambridge depot, in late May 2014. Scania Omnicity ‘deckers are due from Selkent; to replace more Tridents. The Scanias have been displaced south of the river by new hybrids. 15073/4/80/1/3/6/8/95 (LX09 AEW/Y, AFK/N/U/Z, AGU, AHE) had moved over by the late May. Also received from Selkent are ADL/Enviro 400s 19828/9/30 (LX11 BLN/V/Z). The Scanias are at WH and the E400s at RM. Trident 17507 (LX51 FNK) has transferred to Selkent. Trident 17568 (LV52 HEU) is withdrawn due to accident damage. Tridents 17542/6 (LY02 OAP/U) have gone for scrap. 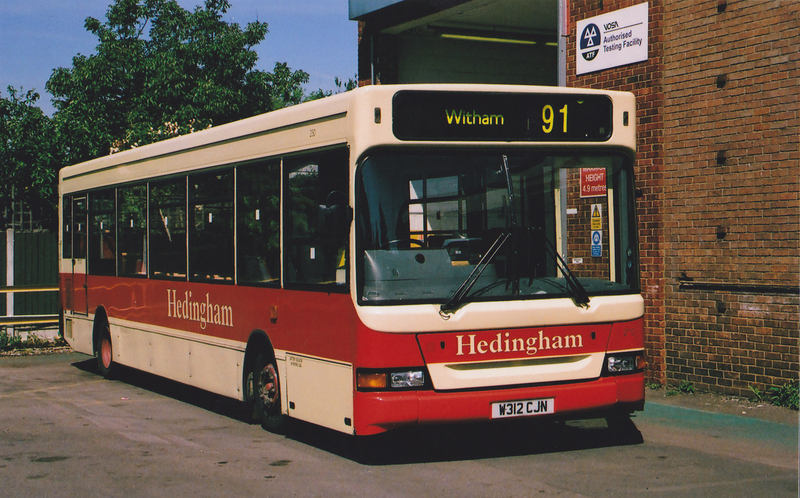 A subsequent history sees Dennis Trident/Alexander 17072 (T672 KPU) now with Buses Etc of Merstham, via Ensign. It had latterly been with Brighton and Hove, via a sojourn at Stagecoach South, whose Lewes operations later passed to ‘B and H’. Above: The Norwich-London Megabus service is usually operated by Freestones of Beetley, but on 24/5/14, Stagecoach B12/Jonckherre no 53637 appeared, and was seen at Norwich. (Colin Lloyd). Moved into its new depot at Boreham from 12/5/14. It is located close to the old Boons site. This replaced the ex Fargo premises at Witham. Witham is still used for storage purposes. All work moved from Witham to Boreham, although ‘Blackwater Link’ service 90 (Witham-Maldon), is now worked jointly by Boreham and Maldon depots. Withdrawn are Leyland Olympian/NC 866 (J566 HAT); Leyland Olympian/Alexander RHs 972/4/90 (K872/4/90 CSF). Leyland Olympian/NCs 855/9 (H155/9 BKH) were sold to JP Travel of Middleton, but soon passed to Stagecoach Manchester, upon the sale of JPT. Leyland Olympian 974 (K874 CSF), is now a playbus in Aylesbury. Dennis Lance/Optare Sigma N408 MPN is now with Elliot and Richman of Rode Heath, Cheshire. Iveco Eurorider/Beaulas PN09 CWO has passed to Holmeswood Coaches, Cheshire. Neoplan Starliner N516SHD HSK 176 has been re-registered back to YN05 BWA and been sold to Thandi of Smethwick. Has Mecedes 0815D minicoach Y1 CHT, from The Kings Ferry ‘Land Yaucht’ fleet. New is BU14 SYE, a Setra S416 tri-axle coach. A King Long X1200 accessible coach (BK63 ZTC) is at work on Stansted-London services. The Medway/Swale and Maidstone to London Commuter coach services, may be routed through Essex, along the A13 to/from the Dartford Crossing, if the Blackwall Tunnel is badly congested. LDV Convoy YX53 CPO is now in fleet colours, ex DC Travel white/blue. Received for storage are SLF/Pointer DP42603 (KP02 PUF) from Abellio London and DP42604 (KP02 PVO) from Metroline. Above: SM Coaches ex Go North East SLF/MPD V191 ERG, at Harlow Bus Station in March 2012, with Arriva and Roadrunner vehicles. Ex Arriva The Shires are Dennis Dart SLF/PLaxton Pointers S307/9/16 JUA. Townlink is now operator of services previously registered to SM Coaches. 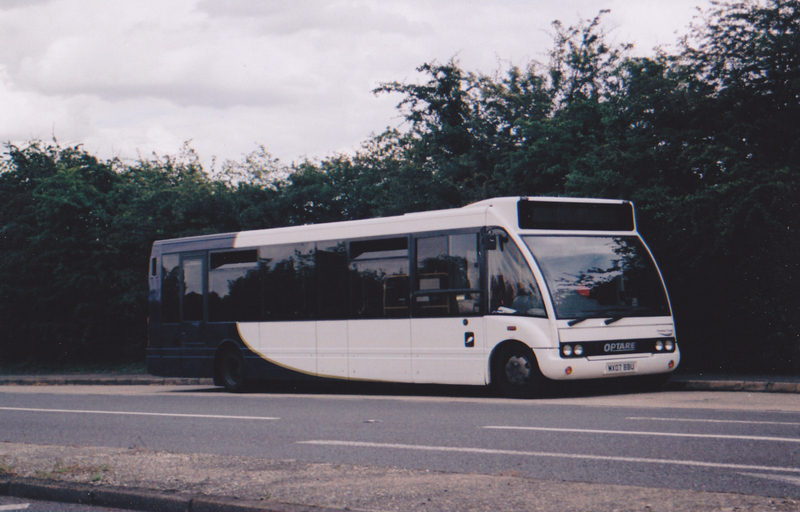 Has Optare bodied Leyland Olympian E155 OMD. It was ex Hampshire operator Hankin, but new to Maidstone Boroline and latterly Arriva Southern Counties. It is used on school/college contracts around Thurrock. Acquired via Ensign are ex Brighton and Hove Dennis Dart SLF/Plaxton Super Pointers T312/3 SMV and ex Metroline West Dennis Trident/Plaxton Presidents LK03 CGV, GFX, GJY. Noted are Mercedes 814D/PLaxton Beaver buses EIG 1357 and KV51 KZD. 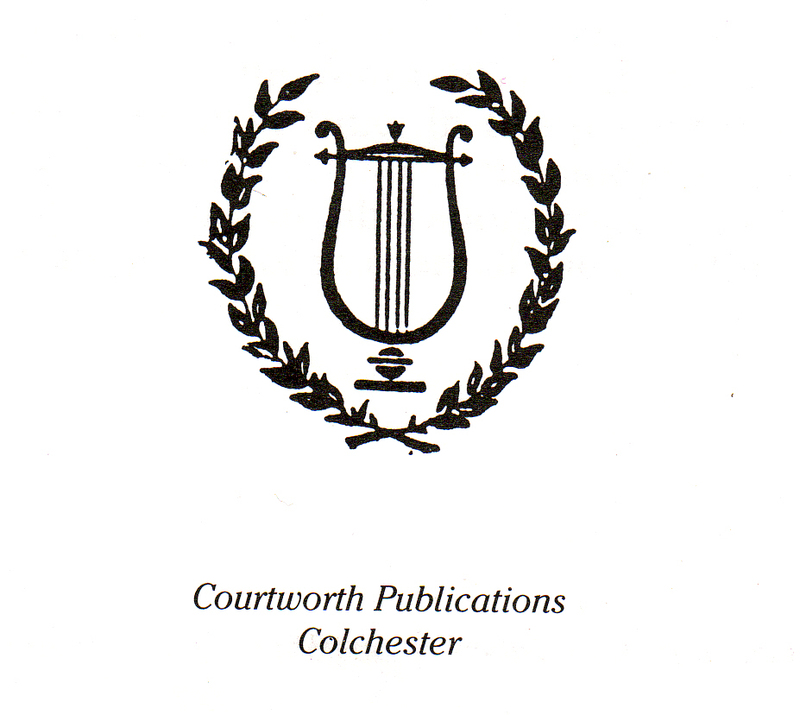 Both had been with Beestons of Hadleigh, Suffolk. Repainted into Trustybus livery is “long” Dart SLF/Alexander ALX200 AD21 (FXZ 2175). This bus was new to Stagecoach South as R821 HCD. But sister AD20 (FXZ 2162) has passed to Erith Commercials. Dart SLF/Plaxton Pointers S93 EGK and X501 WRG are now RHZ 2264 and VJZ 3283, respectively. DAF SB220/Optare Delta S403 JUA is now NFZ 5318. Galleon Travel gold/red liveried Volvo B7TL/Plaxton President X649 LLX is now G11 GTL; while Volvo Olympian T569 EGD has gone to Ensign. “Mini” Dart SLF/Alexander ALX200 Y248 FJN, has passed to Travel Express of Wolverhampton. Also sold is Dart SLF/Plaxton Pointer P980 LNB. Above: Galleon Travel B7TL X649 LLX at Broxbourne in November 2013, on Greater Anglia rail replacement. Now runs the ‘Halstead Hopper’ town service, previously with Florida Coaches. 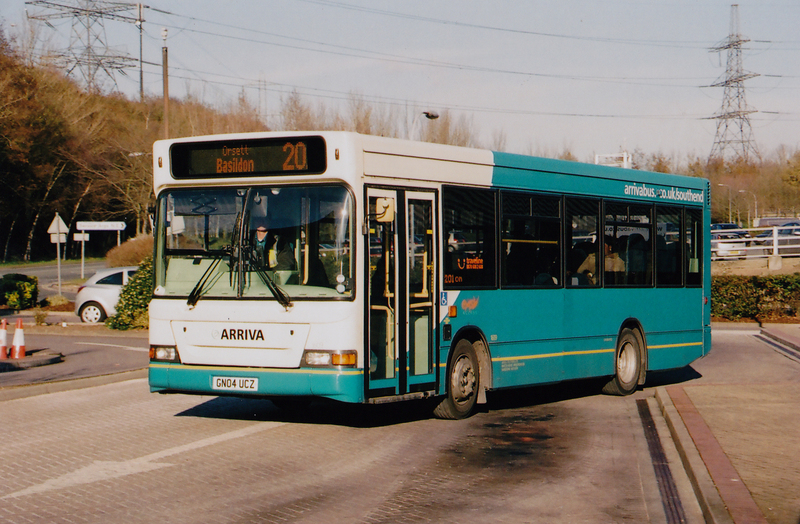 Dennis Dart/Marshall M452 LLJ was acquired with the route. Part open top Leyland Olympian/NC G551 VBB is now with Discover Dorset – in a black/white “zebra” livery. Optare Solo 407 (YA02 YRS) is now in a yellow contravision overall advert for ‘Buslink’. It’s front remains in fleet livery. Sister 405 (YJ 58 PHO) is branded for ‘Hatfield Local Links’ services 607/8/9. It appears on other routes at weekends. Now with Sunny Travel of Willenhall are SLF/Super Pointers V563 JBH, W573/7 XRO and SLF/Caetano T102 KGP. Several Dart SLF/Pointers have been re-registered with “cherished” C-UNO registration marks. Class prefixes are now only displayed on offside fleet numbers. Neoplan Transliner IIG 3840, has come from Poole Bay Travel in Dorset. The Wicks O licence has been surrendered, and operations continue under the JSM Vehicle Services O licence.